My favorite Italian bakery in the city is Peck, which is only found at Takashimaya, both in Nihonbashi and Shinjuku, as well as at the shops in the suburbs. Peck is a gourmet shop in Milano that dates back to 1883. The selection includes Italian cheeses, cured meats, pastas, olive oils, and other pantry staples. There is also a selection of prepared dishes as well as some sandwiches. I am addicted to the focaccia and ciabatta at Peck. The ciabatta freezes well, so I’ll cut up a few pieces for the freezer and warm it up in the oven toaster. Peck is perfect for an impromptu picnic in Shinjuku Gyoen park, which is a short walk from the Shinjuku Takashimaya. Pick up some breads, cheese, and meat and swing by the wine shop for a bottle of wine. 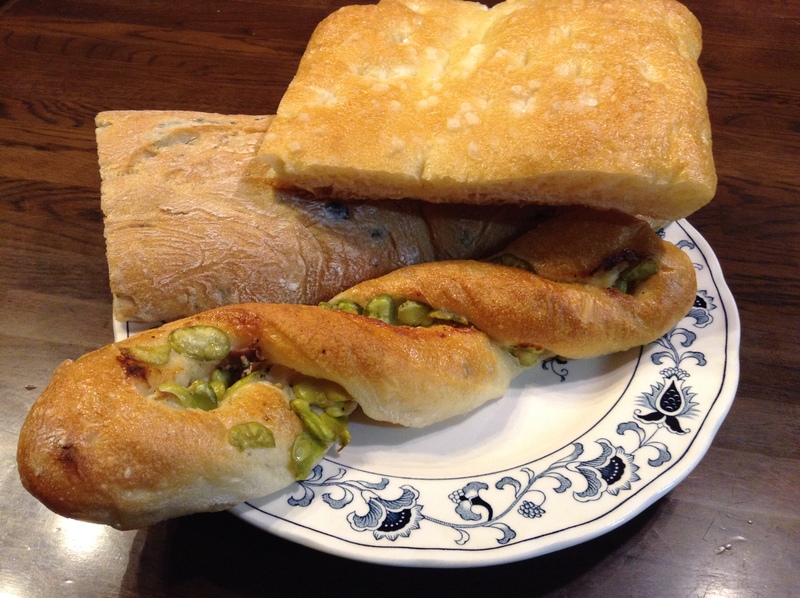 If you come across great Italian breads in Tokyo, please let me know. Arigato, I will check it out!